This one day itinerary will take you along the entire Broward A1A corridor and provide you with opportunities to enjoy a few of its most popular destinations. 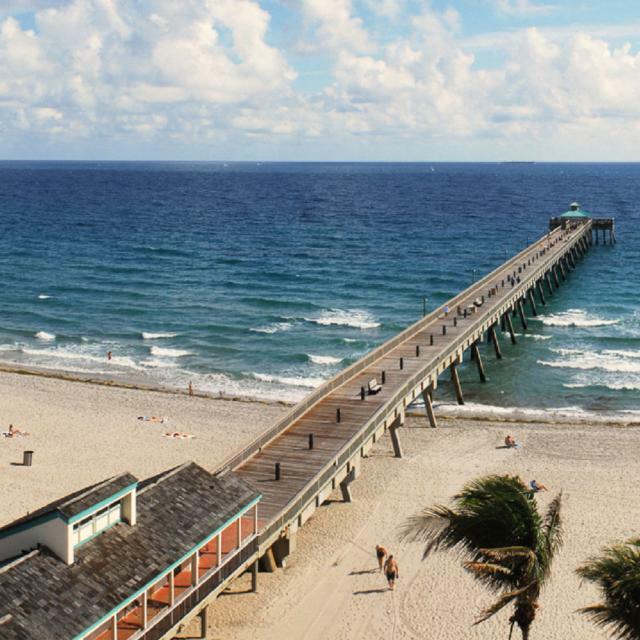 The day will begin in the north at the Deerfield Beach Fishing Pier and end at the Hollywood Beach Broadwalk. On the way, visitors will be treated to some of the most popular attractions along the Broward A1A corridor. After visiting the Deerfield Beach Fishing Pier, head south on A1A and stop by the Barefoot Mailman statue (1210 Hillsboro Mile). Then continue south on A1A to Hillsboro Inlet Park and Marina in Pompano Beach to get a view of the Hillsboro Inlet Lighthouse (2700 N. Ocean Boulevard). Then continue south to Pompano Beach North Ocean Park. Description: Spend a few hours enjoying Pompano Beach for sports, recreational fishing, surfing, and kiteboarding. The public beach is guarded seven days a week from 9:00 a.m. to 4:45 p.m.
After spending some time at the beach, visit Indian Mound Park in Pompano Beach (Hibiscus Ave. and S.E. 13th St.) and head south on A1A again toward the Bonnet House. Be sure to stop at Anglin&apos;s Square (at Commercial Boulevard and El Mar Drive) for lunch in Lauderdale-By-The-Sea before visiting the Bonnet House. The final stop of the day will be at the Hollywood Beach Broadwalk. The travel time from Fort Lauderdale to the Broadwalk without stopping is approximately 25 minutes. On the way to the Broadwalk, stop by the Anne Kolb Nature Center and soak in the sights from the 60-foot-tall wooden observation tower.